Call us at (334) 793-7992 today. For more information or to schedule an appointment with our Dothan chiropractor, call (334) 793-7992 today! Dr. Kirk Eriksen is a chiropractor serving Dothan and the surrounding area. 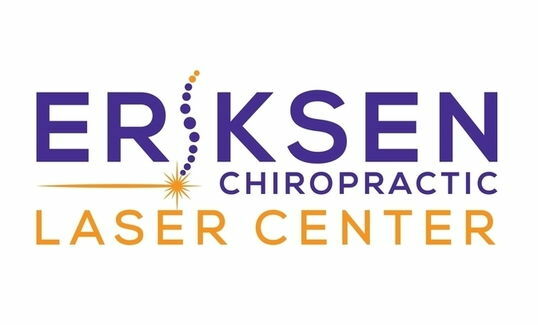 Our chiropractor and the rest of the welcoming team at Eriksen Chiropractic Laser Center are committed to providing chiropractic solutions to address your unique needs, whether you are experiencing back pain, neck pain, headaches, or even muscular tightness and tension. You may be searching for pain relief after an accident, experiencing an injury, or if you suffer from a specific condition like chronic back pain or a spinal condition. Even if you looking to improve your overall health, our chiropractor can help you attain your everyday wellness goals! Visit our testimonials page to find out what our patients are saying about our Dothan chiropractor and our chiropractic care plans. At your first visit to Eriksen Chiropractic Laser Center, Dr. Kirk Eriksen will explain how chiropractic care works and give you a full evaluation to see if our chiropractic solutions are a good fit to address your needs. If there is a good fit, we can customize a plan of chiropractic care for your condition and health goals. If you have not been to a chiropractor before and want to find out more, please email us or call (334) 793-7992 to receive the answers to your questions from our experienced team. We also welcome referrals, so we invite you to share our chiropractic and wellness information with your friends and loved ones. Dr. Eriksen helps free patients from pain in Dothan, AL. As an experienced chiropractor, Dr. Eriksen is committed to promoting health and well-being for all. He utilizes various chiropractic and therapeutic procedures, but Dr. Eriksen is world renowned for his expertise in the upper cervical spine. Eriksen Chiropractic and Laser Center also utilizes the latest advanced technology, which includes the use of various types of lasers to rapidly promote healing. "Lower back and neck pain, irregular monthly cycle and severe acne. In about 2 months after my treatment my cycle became regular. It had been irregular for years. Pain in my back and neck disappeared. The acne was less severe. It is very beneficial and helped me feel better than I felt in years. I would strongly recommend it to anyone." "My spinal column was in very bad shape. After sitting, I could not even straighten upon first arising...But! My greatest advantage came, after Dr. Kirk Eriksen began adjusting me. Kirk used a different technique, known as "Grostic Technique", and this technique was different from any technique that any Chiropractor in past had used with me. Through the years, I had obtained a neck that at times was more than very stiff. But, Kirk and his Grostic Technique made my neck feel better than it had felt in many, many years. But be careful, for not only is he a very capable and competent Chiropractor, he is also very warm, gentle and caring...I pray for God to richly bless your life." "Back was hurting real bad. Couldn't hardly walk and my legs would give out. Cortisone shot in my leg didn't help. Put dye in back and it didn't help. Both made it worse...I can get out and walk now without pain in my legs and back. Before I had to use a walking stick. It is well worth the time involved going to the Chiropractor. I really feel good. If I had doubts about Chiropractic I don't any more. They really can help. I can walk up steps now without crawling up them or without help."